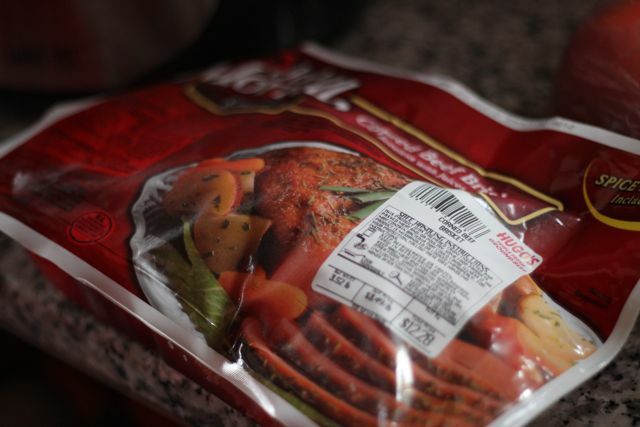 Women on a Mission: Mom Edition: REUBEN—PART 2! My heritage is Irish…My mother was an O’Brien and really nothing is better than St. Patrick’s Day. My favorite memory of St. Patrick’s Day was spent in New York City. Let’s just say, massive parade, beer, and fire fighters EVERYWHERE! It was CRAZY and FUN and yes, Steve was along on that trip too. We hit a ton of Irish Pubs…even the oldest in NYC…so old it had a dirt floor. Such GREAT memories spent with my hubby and my good friend Janelle. 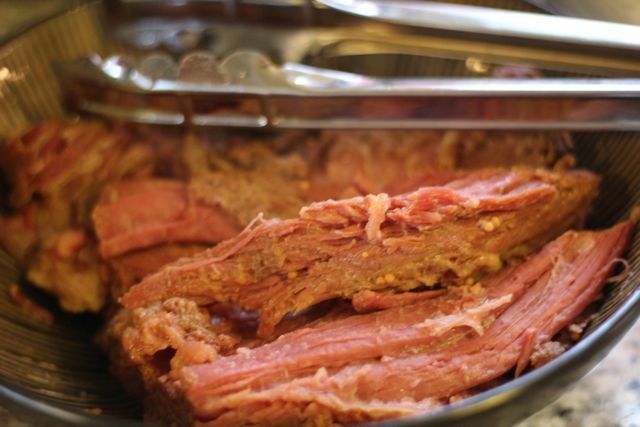 Another GREAT memory is my hometown church’s corned beef and cabbage feed. DELICIOUS! I love going to it, unfortunately it isn’t the ideal weekend to travel home because the entire family is working for two days straight=no time with them! So lately, I opt to head back at different times. 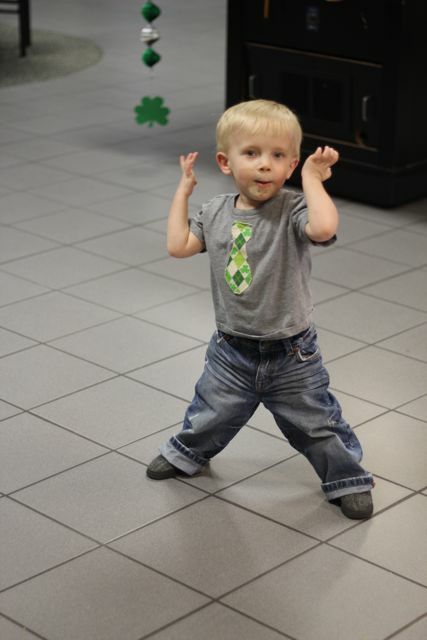 Mur-Man was rockin' it on St. Patty's Day! And yes, that's Irish dessert on his face! 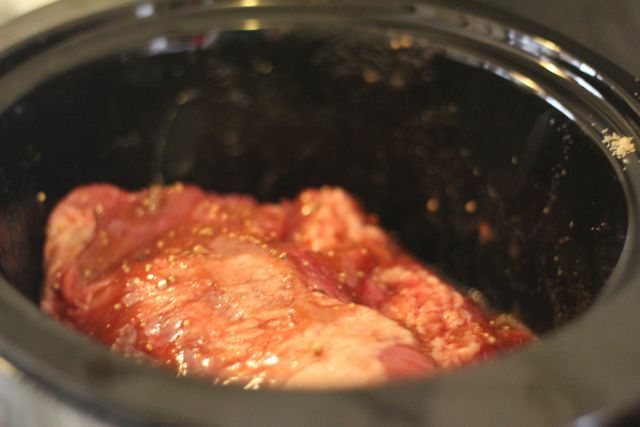 Steve and I were craving some corned beef. And so, Sunday morning (I had the flu on St. Patty’s Day), we put the corned beef in the crock-pot with brown sugar, beef bullion, and the corned beef with seasoning pack. We cooked it until was tender and tore apart. Ready for the beef bullion and to cook on low! 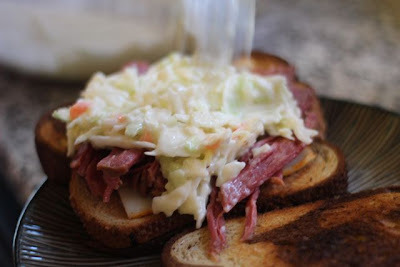 But I wanted to do a twist on the traditional Reuben sandwich. And after reading one of our favorite blogs, smashed peas and carrots, I got the idea to make the sandwich with coleslaw (and also the inspiration for the recipe). Genius! I whipped it up, put it together, and it was DELICIOUS! YUMMMYYYY! 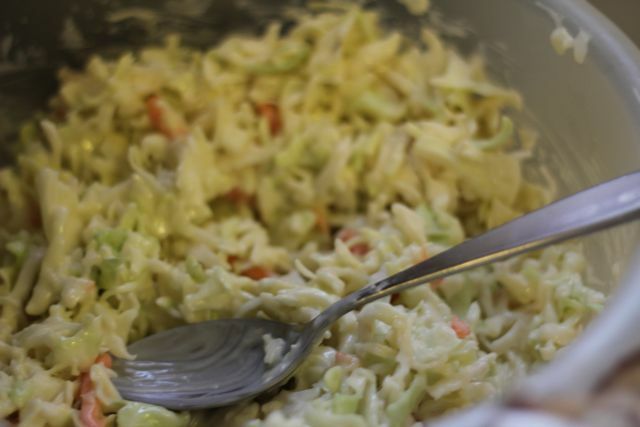 Any coleslaw recipe will do. Perfect for people who don't like sauerkraut. This picture was taken in action, but it almost looks heavenly!